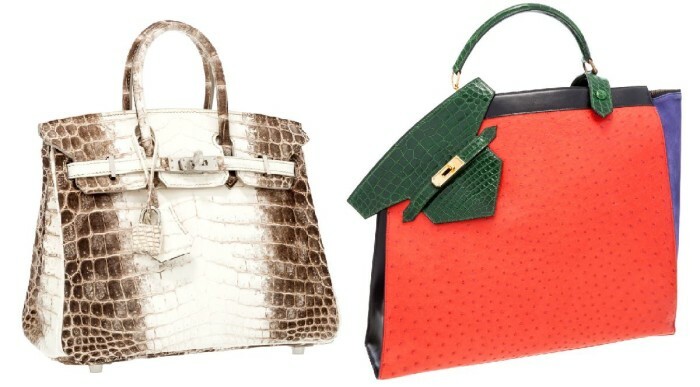 Heritage Auctions is offering diehard collectors of Hermès handbags, two of the rarest bags ever made by the design house. Created three decades apart and look different in every which way, but bears the sought-after “Himalayan” moniker. Both are estimated to sell for $80,000 each. The first of the two Hermès Himalayan handbags is handmade in 1982 and measures 43 cm. The colorful bag features shiny Vert Emerald Alligator, Rouge Vif Ostrich, Violet Veau Doblis & Black Calf Box Leather Sac, beast materials and vivid colors. Bag is decorated with gold plated hardware including bottom studs and front closure. 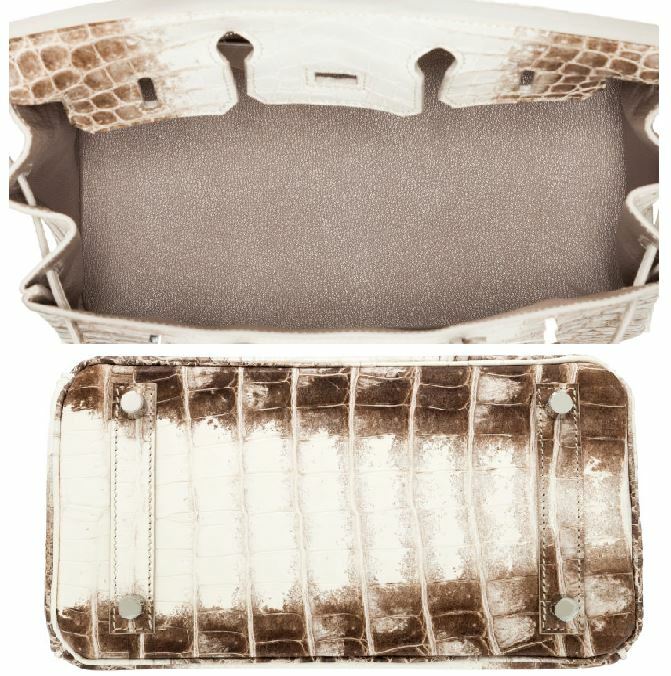 Interiors feature two compartments, one with zipper and the other with button closure. Made in the same style as “Kelly” bag it is in excellent condition with little wear and tear. With nothing in common with the first bag other than name this Himalayan is also high on the list of must haves for collectors. The Hermès White Himalayan with palladium hardware measures 25 cm. 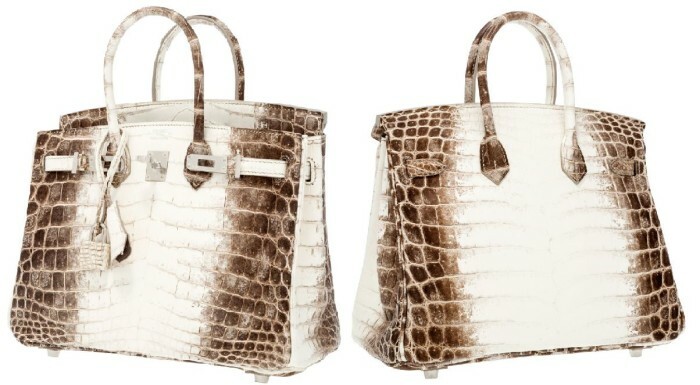 Officially named the Hermès 25cm White Himalayan Crocodile Birkin, inspiration for its color combination is inspired by the snowy mountaintops of the Himalayan mountain range. Much smaller than the first Himalayan, making this bag has been difficult due to the delicate tanning process. It has two rolled top handles, palladium hardware including bottom studs, keys, clochette and matching crocodile covered lock. 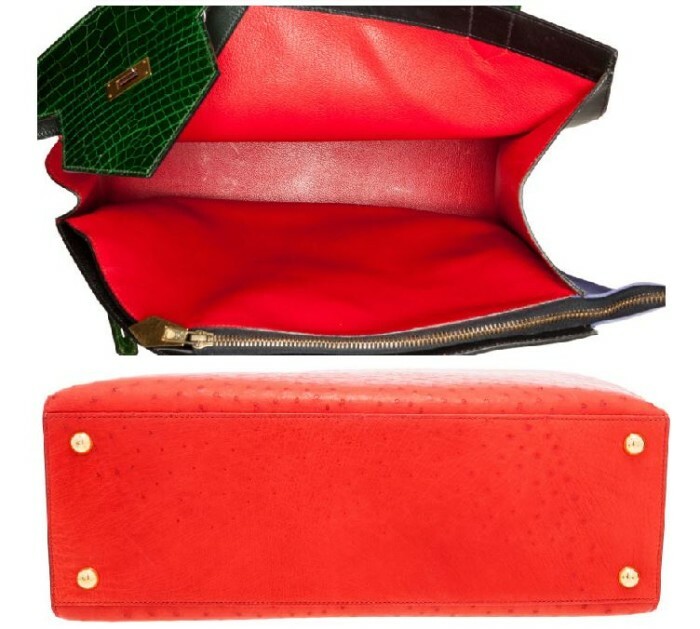 The Gris Tourterelle Chevre leather made interiors feature a slip pocket and a zip pocket. In excellent condition bag comes with CITES paperwork, Hermes card and envelope, dustbag and box. 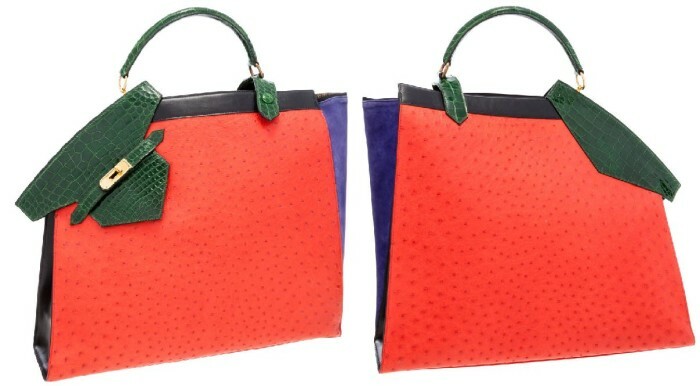 “Hermès is known for its whimsical spirit in the atelier. The essence of that fancy is embodied perfectly in these two bags, so unlike one another, but also both so quintessentially and undeniably Hermès,” said Matt Rubinger, Director of Luxury Accessories at Heritage Auctions. Bags are available for preview in Dallas, April 11-12, and in Beverly Hills, April 17-19. In addition to Hermès pieces auction will also feature well-valued current and vintage Chanel, Louis Vuitton, Judith Leiber, Gucci, Dior and more. The auction is scheduled to take place on April 28 at the Fletcher-Sinclair Mansion in Manhattan, 2 E. 79th Street.